Sure, a blog can boost your search engine rankings and raise the credibility of your site, but if the content doesn’t reach the right people, you’ll have a very difficult time generating conversions from your hard work. That’s why it’s very important to understand who your blog audience is and what content they like to read. 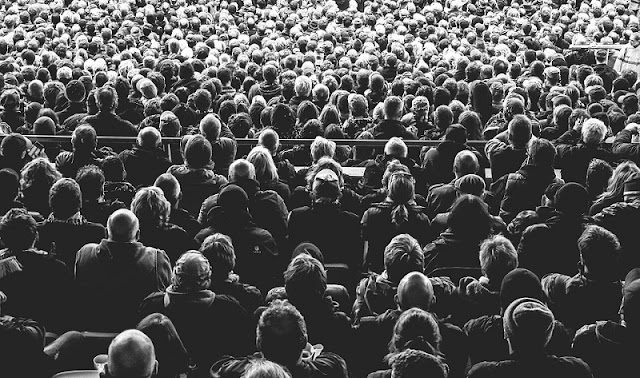 You might have already defined your target audience and have been catering content to them for some time, but that doesn’t mean you should stop thinking about who your readers are. You can’t continue using the same target market profile you created three years ago and expect to get the same results. You want growth, and that requires tweaking your strategy. Take some time this month to really evaluate your current target market. Is your blog reaching everyone who can benefit from your words? Does your content solve the problems your readers currently have? If you can’t truthfully give positive answers to each of these questions, then it’s time to refine your audience. As you think about your target readers, here are some things to consider. One of the most important features of a good business blog is the ability to generate and maintain relationships between businesses and customers. However, you won’t get very far if your blog feels cold and distant because it wasn’t written directly for those reading it. Getting them on that level is all about delivering content that speaks to them. It should solve problems and offer new insights on topics that interest them. Blogging should become like a conversation between your business and its customers. Don’t limit yourself by ignoring some of the circles that lie just outside your main target audience. Your target audience defines the people who are most likely to purchase your product on a consistent basis, but there will always be outliers who might have a random, one-time interest in your business that you shouldn't ignore. Much of reaching beyond your target audience will appear in the process of marketing, but you can still make some valuable changes to your writing to increase your likeability. Start by making your content more accessible to everyone who reads it. Nix the jargon and slang and give very brief explanations about concepts that may be simple to your typical reader, but brand new to those just outside your niche. By making any reader feel like they “belong” on your blog, you can leave the doors open for any potential customer. Competition drives demand, and most markets have their fair share of competitors. Don’t run your business and blog ignorant of the content created by your biggest competitors. Start by recognizing what your customers are reading. What blogs and businesses similar to your own are bringing in the most customers? Read the content provided and pull from some of their tactics to make your own blog more successful. Be wary of simply copying ideas from your popular competition. You always want to stand out in your blogging and marketing efforts, so original content is a must. Understanding your competition is not about stealing their ideas but knowing what you’re up against and using some of their popular tactics to create something original and enticing for the average reader. You can take some impressive steps towards growth by simply understanding your current target audience and knowing how to create content they’ll enjoy. It may take some further investment, but the high ROI and increased customer satisfaction will be worth every hour and penny spent.